Close them quickly – get the pain over quickly, reposition the bank, free up management bandwidth. The problem is – who wants to buy your Retail Branch network? There is always a buyer, it is simply a question of price and that price can be modeled. Close them slowly – don’t spook investors, cut costs to squeeze more cash from the older customers, manage the pain and look for smarter semi-automated ways to increase revenue per customer (more footfall conversion and more conversion of door entry to revenue). Double down and improve the LTV part of the CAC/LTV ratio – create Apple like flagship branches that drive cross selling revenue. (LTV = Life Time Value and CAC = Customer Acquisition Cost). 2 and 3 are compatible strategies. You close some branches and you double down on others. The market is about 4x bigger – over $1,200 billion. There are a lot more than 4x more retail bank branches. 4x would mean 460*4 is 1,840. How many bank retail branches are there globally? The data is a bit hard to track but we can see something like 8,000 in the US alone, so globally it is probably 3x to 4x that. Keep to the low end and assume 3x – that is 24,000 branches. But the % of the business that is digital is far lower in consumer electronics than in banking. Seeing and touching the consumer electronics product has value for consumers. Banking is complex so you want people experts as part of your delivery chain but they might be in call centers or visiting the customer at home or in office; you don’t need to physically see/touch anything. That implies something like a 10x reduction in retail bank branches. The remaining ones maybe a lot bigger and fancier along the lines of Apple flagship stores, but 10x is a huge cut. We don’t see it yet but everybody knows we will see it. 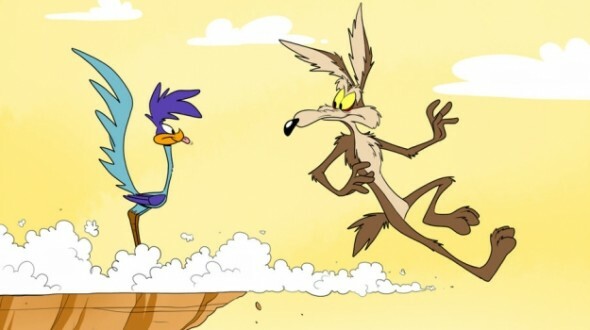 That is why we are at the Wile E Coyote moment right now. One place to observe this is Switzerland where high labor costs forces banks to cut when the profitability looks questionable. This is one place where we can observe how the Wile E Coyote moment works. Lots of individual bank decisions changes consumer behavior. For example, if a bank reduces headcount in a branch (a perfectly sensible strategy) the remaining staff know less and really just show you how to use e-banking or ATM. The consumer takeaway is don’t bother going to retail branches. In another example, in remote areas where one bank has a monopoly, they can close a branch without losing customers at least in the early days. The consumer takeaway, after a period of aggravation, is that they don’t need a retail branch. Those individual bank decisions in aggregate change consumer behavior. This is not just for Millenials who never went to the branch anyway. This changes behavior for Gen X and Baby Boomer as well. This makes those consumers more receptive to digital only offerings from challengers/attackers/ full stack Fintech. Another place to observe this is in the “countries formerly known as emerging” where new banks are being licensed that are mobile only. India may lead the way in this. Nobody is seriously investing in new bank branches in those low GDP per person countries because the value per transaction means that only a digital only solution is viable. The movement across both ends of the bar bell – high GDP per person in Switzerland and low GDP per person in India – converges at the same point which is a far smaller number of bank branches per GDP. In the middle – for example a country like Poland – branches may do better and we observed that when the Fintech Global Tour went to Poland. Wile E Coyote needs a parachute. Previous After Volvo put their money where their mouth is, does this mean the end of motor insurance? I don’t think so! Next Which geeky Transaction Banker will become CEO of a big global bank and turn it into a mega Fintech?